A special master, typically a magistrate judge or a professional with a legal background, would resolve fundamental disagreements between the ACLU, the court-appointed experts and DCFS over how the agency provides services for children who need them most, including children stuck in psychiatric hospitals after they’ve been cleared for release, according to Heidi Dalenberg, general counsel for the ACLU. 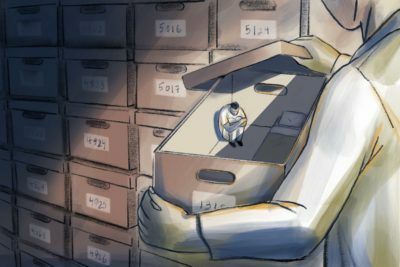 A ProPublica Illinois investigation this month found that hundreds of children were trapped at psychiatric hospitals between 2015 and 2017 after doctors had cleared them for release — known as beyond medical necessity — because DCFS had failed to find them places to go. Many of those children, some as young as 4, were confined to the hospitals for weeks or months on end as they waited for DCFS to move them to more appropriate settings, such as residential treatment centers, specialized foster homes or a relative’s home. The department spent nearly $7 million during that time on the unnecessary hospitalizations. DCFS officials, who acknowledge the problem, resisted the appointment of a special master in court Wednesday. Instead, they asked Alonso to appoint someone with child welfare experience to monitor the situation, saying the agency has been responsive to information requests from the ACLU and court-appointed experts and has collaborated with them on the reform plan. During the hearing, DCFS general counsel Shawn Eddings said the children kept in psychiatric hospitals after they’ve been cleared for release have complex needs that the department is working to address. She said officials have earmarked federal money for children experiencing mental health crises and launched a pilot program to provide short-term services to stabilize children at risk of being held beyond medical necessity. They have also talked to officials at the Department of Healthcare and Family Services, the state agency charged with providing mental health screenings and treatment for children on Medicaid, about offering additional services for children before they need to be hospitalized. “We can use all the help we can get,” Eddings said. But more lawyers won’t solve the problem, said Neil Skene, special assistant to DCFS Acting Director Beverly “B.J.” Walker. ACLU attorney Claire Stewart said the reform plan requires DCFS to develop services and placements for children in psychiatric hospitals, but the department has been unwilling to commit to a plan after previous initiatives failed. “In the meantime, children continue to suffer from lack of sufficient service resources and placements,” ACLU attorneys wrote in court filings, adding that a special master could end the impasse that has damaged the reform process. The judge is expected to rule on the issue in August. Illinois lawmakers, who called for a public hearing following the ProPublica Illinois investigation, plan to hold that hearing in August. State Sen. Julie Morrison, a Democrat from suburban Deerfield, said in an interview that she supports the appointment of a special master.